Are you confused about how to draw a gauge chart? Here are some guidelines which can be used to ease the process of creating an effective gauge chart. Most of us don't know how to deal with gauge charts when we are novice users. But with the passage of time and experience, we gain expertise. A good gauge chart helps to understand the systematic flow of information in the business. You may get a better understanding about gauges chart by reading Basic Gauges Chart Knowledge. Edraw gauges chart software includes some inbuilt gauge chart templates and examples which makes it very easy to use. 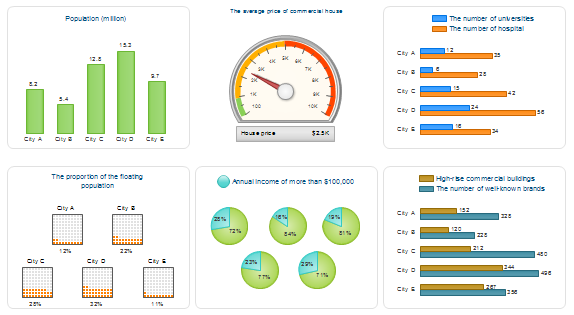 You can easily visualize your data on computer and generate a gauge chart with quick click. It comes with various embedded features like smart drawing guide which makes mind mapping simple, supporting big size and multiple page mind map; inbuilt themes, effects, styles; automatic alignment; compatibility with MS office and PDF; being easy to share and much more. You can also make notes, attachment and build hyperlink. 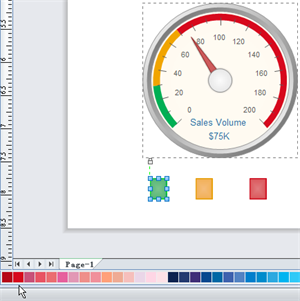 You need to follow only a few steps to draw an effective gauge chart from Edraw. Just drag a built-in gauge symbol from the library. Then use the quick button to load data from a text file or Excel sheet. To make it as easy as possible to create your first chart, change the data and save it to a text file. 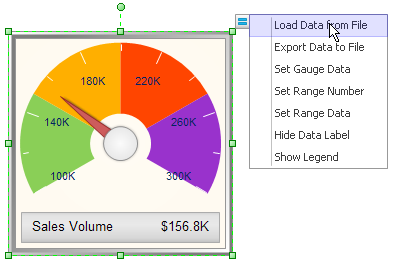 Then use one of the gauge chart symbols in the software to load the data. NOTE: In the source data, the second and third column is user data. 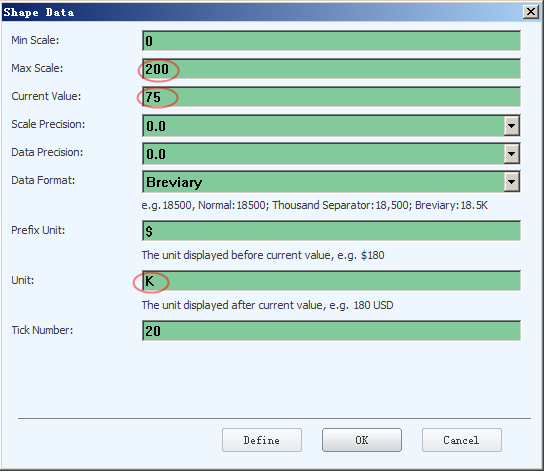 You need not to input the last range value because it's always the same as Max scale value. 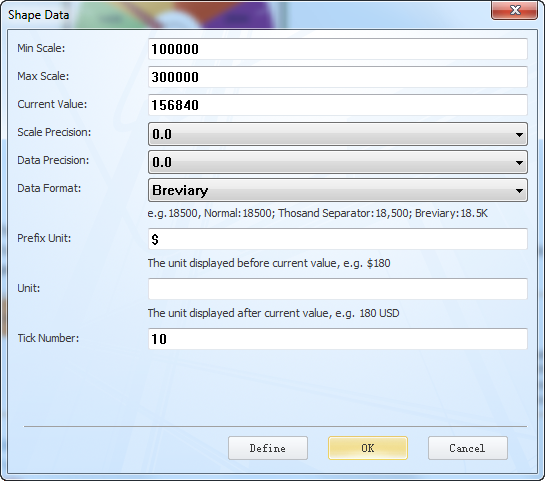 The second way to set gauge data is inputting data via floating menu. By clicking Set Gauge Data item in the floating menu, you can input the Min Scale, Max Scale, Current Value, and you can also set the precision, units and scale number. Click Set Range Number to set the range number. Click Set Range Data to set every range value. To change the color and license, you can click to select subshapes in the gauge chart. Then use the menu to set. Edraw is compatible with MS office, easy to share with graphic format, PDF file, word, PowerPoint, Excel document and much more. Open the File menu, then click the export item. 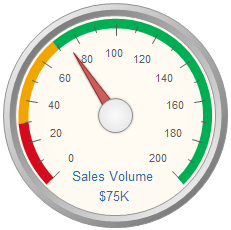 First thing first, double click the option "gauge data", set the max scale"200", current value"75", unit "K".